Get the first warning first! It’s a surveillance system built to monitor latency, bandwidth, up-time on all network attached devices. System is built so that almost anyone can install and configure it. Alarms are sent by either Telegram or E-mail or both. You need to know when network failure happens. And you need to know before your customers/personnel. FIRSTWARNING is nice to look at when everything is working! When some device looses network connection, it is not so nice to look at if you are an IT technician, still looking good if you are not. Surveillance is everything! You need to know what happens even if you only have your phone with you. Anything that respond to ping or normal web traffic can be monitored. 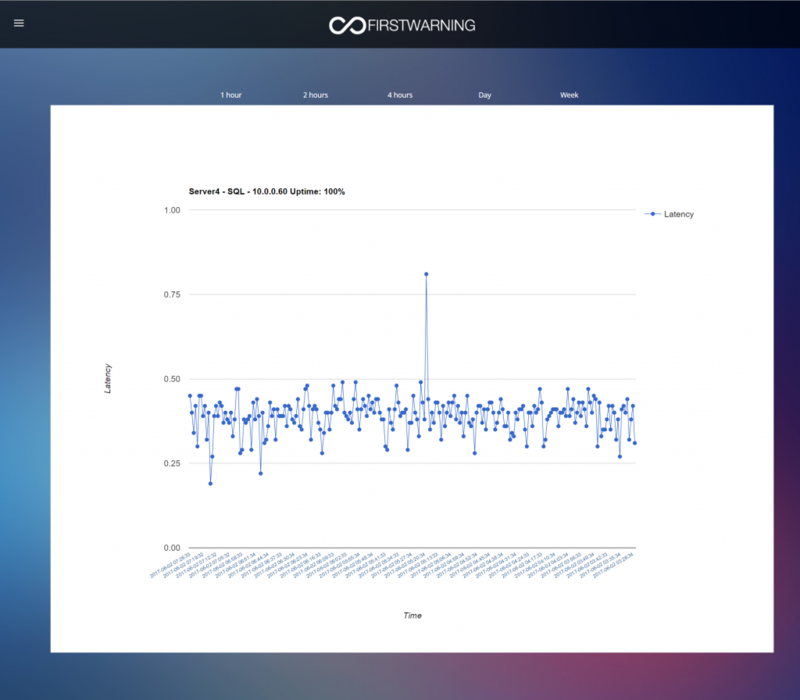 Firstwarning keeps track of all your devices with statistics and alarms. When a device fail to respond you will get notified. Firstwarning display failures on your TV, sends messages to Telegram and by e-mail. 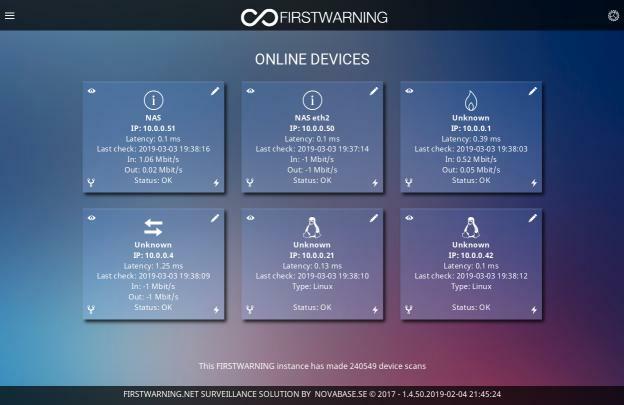 You can install FIRSTWARNING on a server, in your virtual environment, VMware, Proxmox, ordinary PC or even on a Raspberry Pi. Do you want to host your surveillance server in the cloud? – I wouldn’t! To control and monitor a device you need to open your network to your cloud provider or the complete Internet community. Is this wise? What happens if someone outside your company gets access to it? Display your work to your collegues in your office. Show online status of all the infrastructure devices you manage on a big screen available to everyone in the office. If all devices are online they will know you are doing a good job. If some device fail, colleagues will ask you why it failed. You can tell them that you are working on it and have it under control because you already knew about the failed device. Firstwarning had already notified you by Telegram and E-mail. A win/win solution. See your devices in your phone. Get notified in your phone when something happens. FIRSTWARNING displays a really nice looking webpage and it’s made responsive. It will look great on any device! Statistics over time is stored for every individual device. 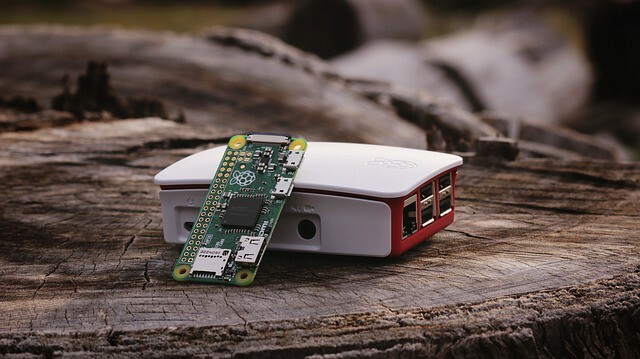 Do you know what kind of devices you have in your network? Do you know how to find out? With FIRSTWARNING you can find all devices. FIRSTWARNING have scanning capabilities, just input your ip-range and press start. FIRSTWARNING makes a list of all devices and presents them to you.